47. 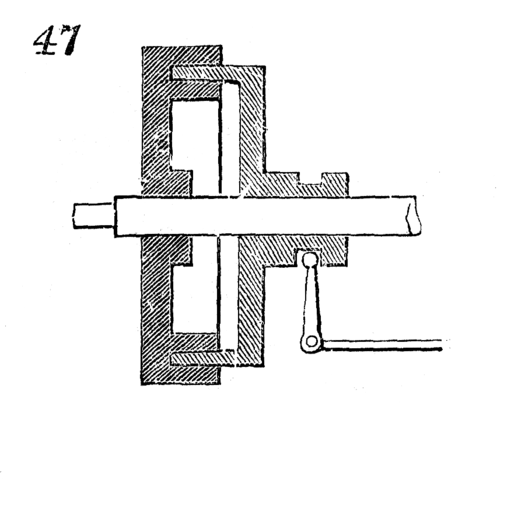 A frictional clutch-box, thrown in and out of gear by the lever at the bottom. This is used for connecting and disconnecting heavy machinery. The eye of the disk to the right has a slot which slides upon a long key or feather fixed on the shaft.